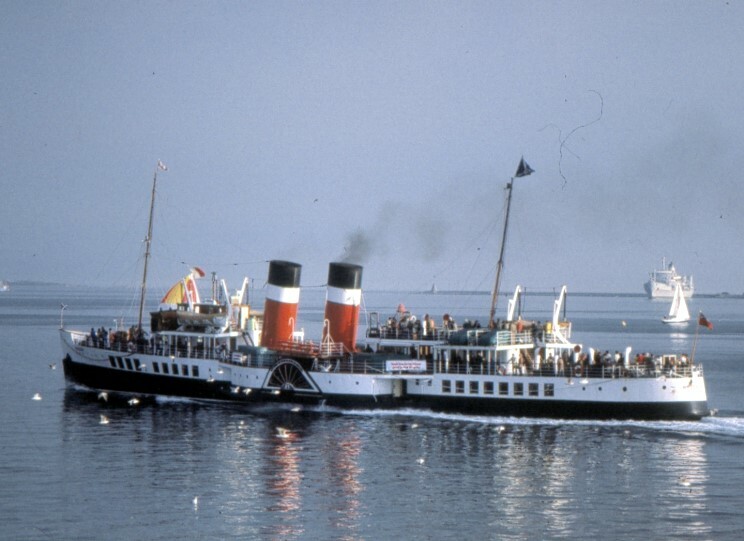 April 24, 1980: Waverley seen off Plymouth, England. Waverley, date and location unknown. 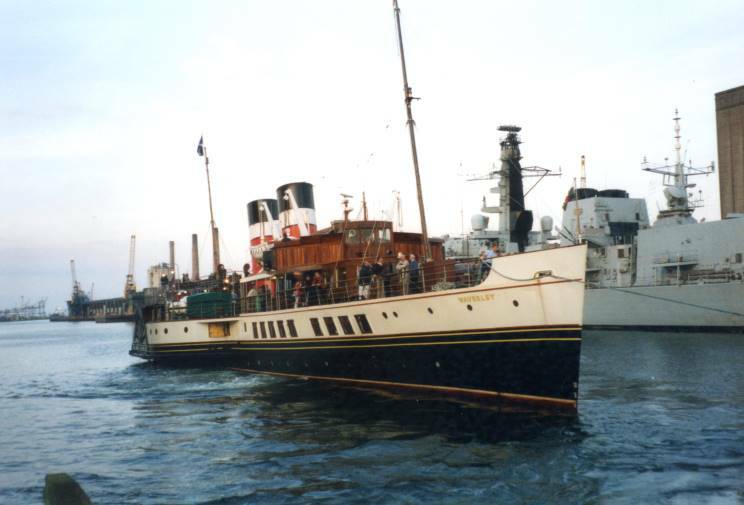 June 20, 2004: Waverley approaching Largs pier on the west of Scotland en-route for a day excursion to Campbeltown. She sports her restored colours of the former London and North Eastern Railway which she wore only for a few months after her introduction to service in 1948. 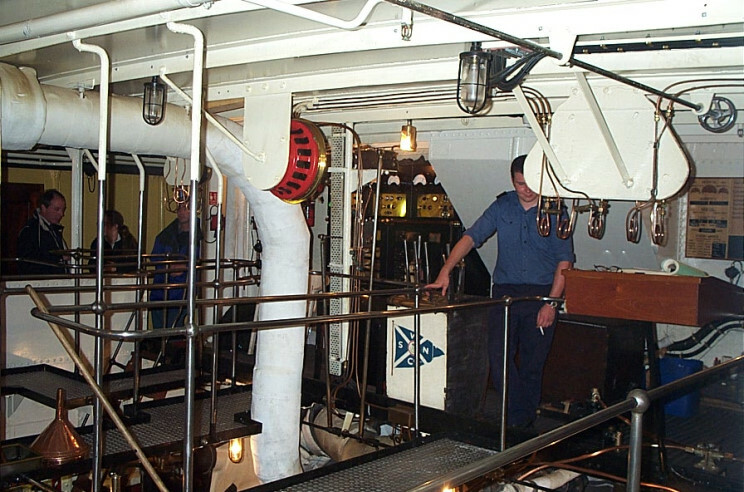 As a footnote, my uncle, Neil Maclachlan who now lives in Windsor, Canada was one of a team of apprentices involved in the making of her engines. The company was Messrs Rankin and Blackmore's Eagle Foundry of Baker Street, Greenock, Scotland. 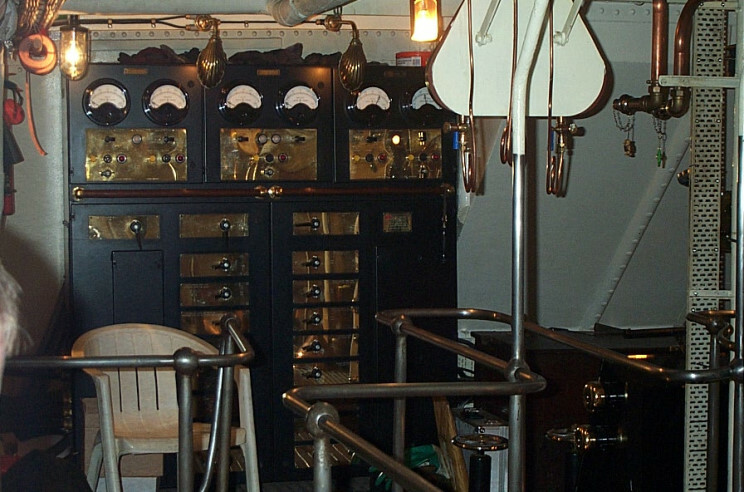 The engine room of Waverley. 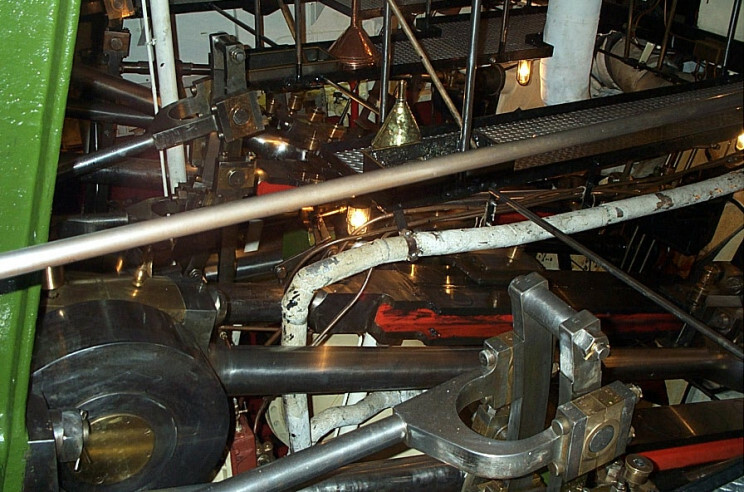 Some of the engine machinery of Waverley. 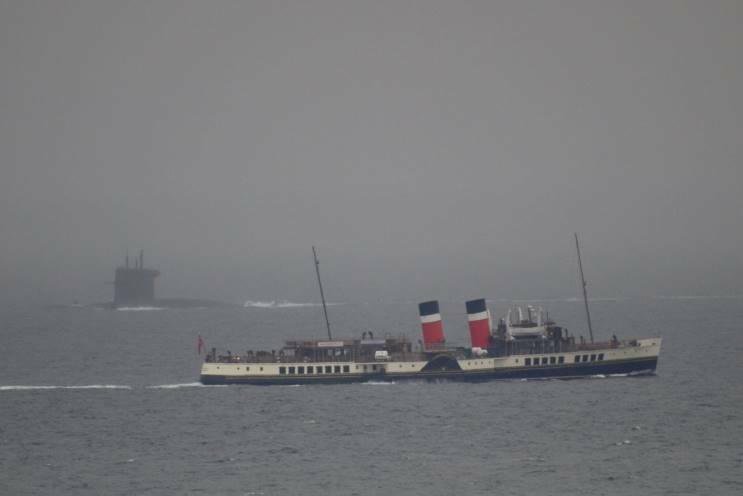 October 14, 2013: Waverley and an unidentified submarine seen off Lizard Point, Cornwall, England.